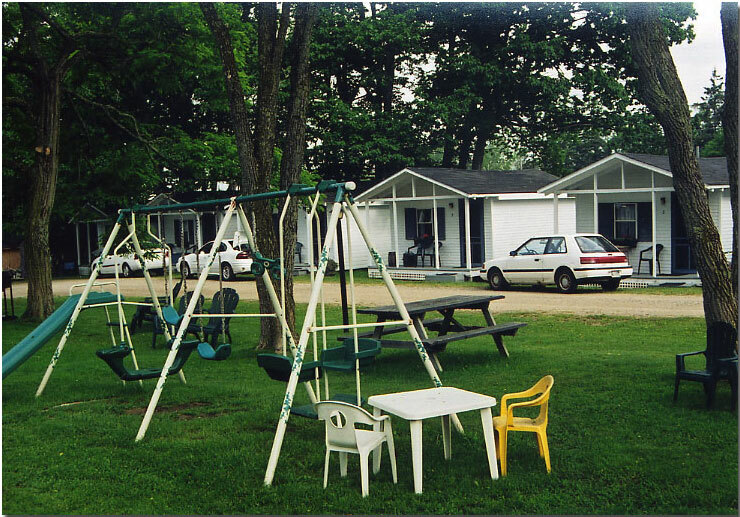 Sea Acres has a variety of accommodations and a family atmosphere that we believe will be very comfortable for you and your family. Our rooms are basic and clean. Towels and linens are furnished, daily maid service is offered. If you are staying on a weekly basis, the maid service is decreased and the rate is discounted. Sorry, we do not accept pets. All of our rooms are non-smoking. 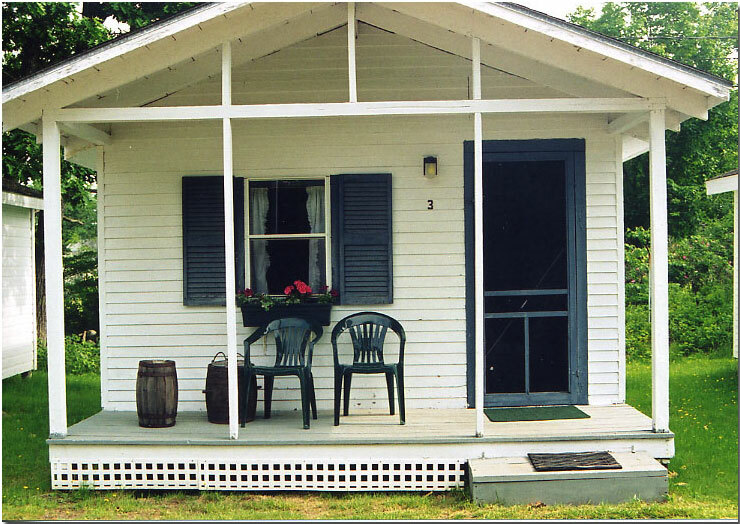 Our cottages are rustic, cozy, and very country, with some handmade quilts, braided rugs and memorabilia of the past, inside and out. They will accommodate up to four people with one main room, two double beds and some have a cot or daybed for a child, a private full bath, color cable T.V. , small refridgerator, coffee-maker, and electric space heaters (for those chilly nights). Outdoors we have picnic tables and you are welcome to cook out on the grill (shared). 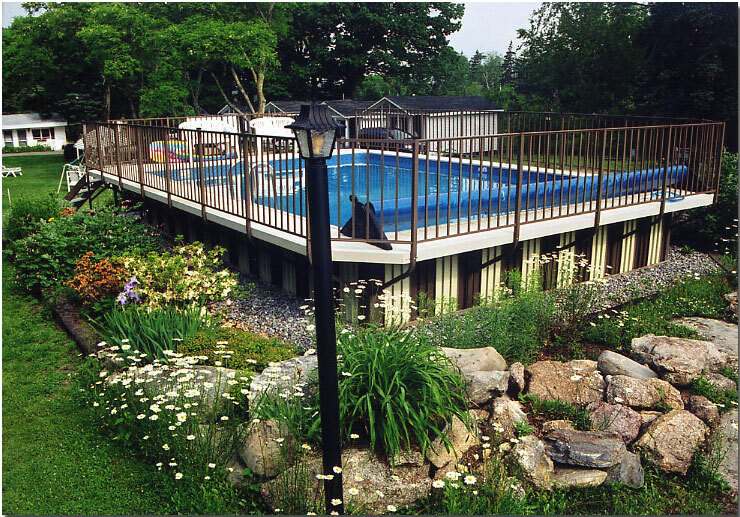 Our large yard welcomes you to swim in the pool, sunbathe, play games, or relax and read a book under a shade tree. A walking path to the back of our property brings you to Coombs Cove, a tidal inlet of the Pemaquid River. 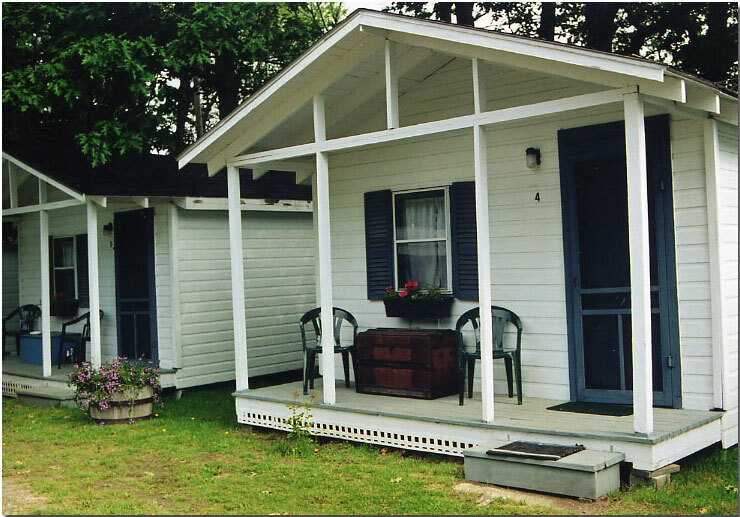 Our motel efficiency units accommodating up to four people, are similar to a small apartment. The front room is a combination living-dining room with a furnished kitchenette (pans, dishes etc. ), complete with easy chair and a sofa. The bedroom has two double beds and there is a private full bath off the hall. These units have wall-to-wall carpeting, color cable T.V. and thermostat electric heat. Some efficiency motel units will accomodate up to 6 people, with either 3 double beds, or 2 double beds and twin beds in two rooms. 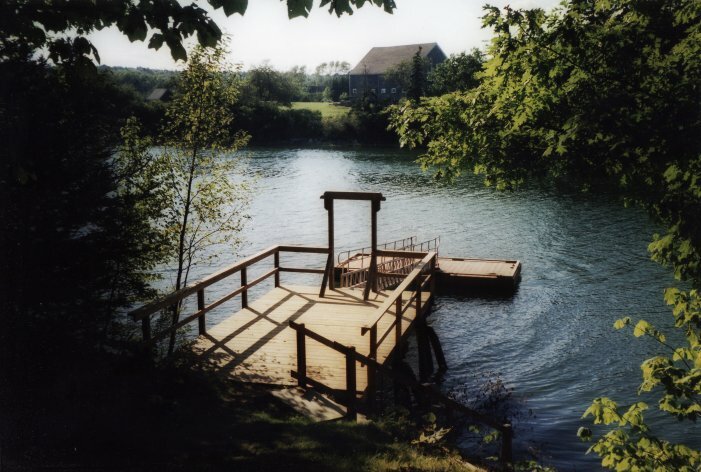 We recently replaced our dock and added a 2 seater paddle boat for hourly rentals. Relax on a fun cruis around Johns Bay, or bring your own canoe or sea kayaks to enjoy throughout the bay. 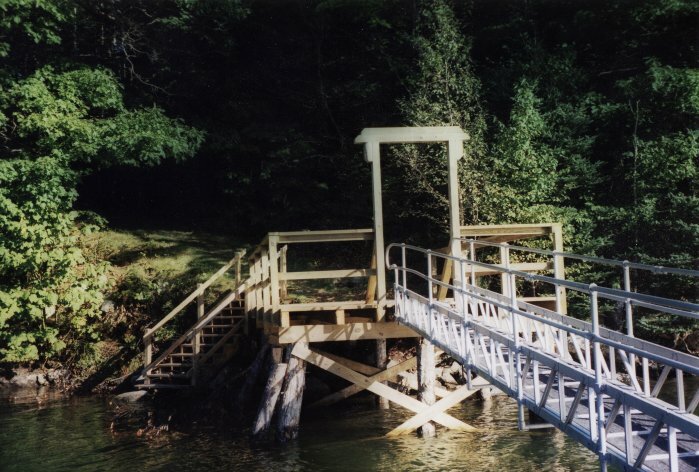 Restaunts, historic landmarks, and other conveniences can all be reached easily without even leaving Johns Bay. We are quietly located on the Bradley Hill Road, off Route 130 and away from the noise of traffic. 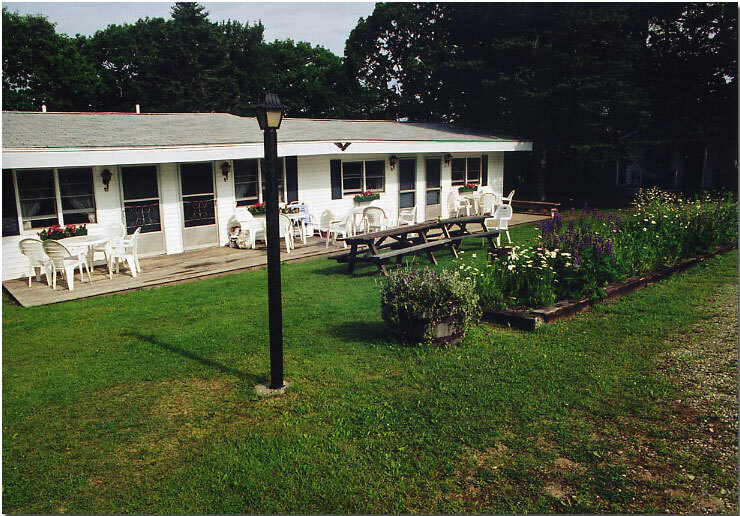 Still, we are convenient to the attractions and restaurants within a five-mile radius in Pemaquid. We encourage you, while planning your trip, to spend more than one day to appreciate the beauty and charm of the Pemaquid area. If we can be of any further service, do not hesitate to call us @ (207) 677-2693.